During the early '90s, in a Blockbuster Video, I first met Dean Koontz's storytelling. Jim and I rented a videocassette of The Servants of Twilight. 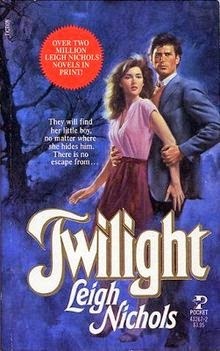 The movie was a 1991 adaption of Dean Koontz's novel Twilight originally published under his pseudonym Leigh Nichols (I know, a bestselling book named Twilight published in 1984?). The movie was superb, but it didn't launch me into Koontz readership. Honestly, I have yet to read that specific title. Decades later, faced with an anxiety-filled drive to a children's hospital with my infant (our first trip), I stood in the library audiobook stacks on the phone with my brother. "So what will keep me transfixed and awake?' I asked. And my brother introduced me to Odd Thomas, a golden-hearted, philosopher fry cook with the strange burden of seeing the deceased. While the "seeing the dead" part seemed a little Sixth Sense, my brother assured me the books were top notch. They were so good that I listened to the remaining discs on my laptop because I didn't want to wait for the ride home. Odd's social commentary is incisive and hilarious. That first book was good company during the long hours of baby holding and bedside nights. My brother and I shared Odd Thomas news (new book! movie! movie not available in the US! new book! movie finally released here!) and interviews with Koontz as we found them. While it probably should not be a surprise that a horror writer might have mystical and supernatural beliefs, I found Koontz's social perspective (informed by his religious beliefs and experiences) to be refreshingly generous and positive. 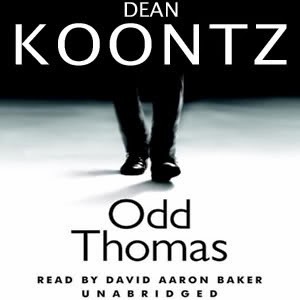 In his Odd Thomas series, the hero is nothing without the support and friendship of communities and good citizens. 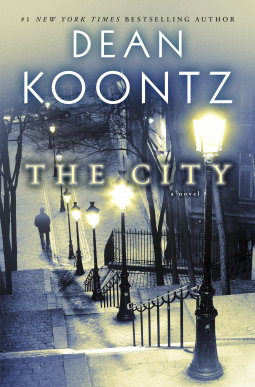 Koontz's newest release, The City: A Novel strikes me more as suspenseful literary fiction than his typical genres of horror and suspense. A young boy, a third-generation musician with prodigious talent, works to understand and survive a childhood in dangerous urban social upheaval of the 1970s. As his parents' marriage dissolves, his father's aggression and anger toward his mother make Jonah a highly sought after pawn in his father's schemes to hurt his mother. As in other Koontz stories, acquaintances and strangers rise to become friends and allies in the struggle against a truly malicious minority. Koontz's characters engage the reader immediately and deeply. At one point while I was reading the book on my tablet, Jim asked me "What's happening? Are you upset?" because I looked stricken (and he thought I was reading something in my email that was deeply bad news). As young Jonah Kirk comes to age and understanding, he hears, as we do in real life, some incredible observations from mentors and friends on how the world works and how each person can improve things. As in the classics, some of these passages offer such clarity that they are easily adopted into a reader's understanding of the world. If you're looking for a great summer read that makes the days look a little brighter, check out Dean Koontz's The City. What fiction brightens your summer? ***Baby Toolkit is the commonplace commentary of some geek parents navigating Zeitgeist (though only one of us has read this book). We received a free advance reader ebook on loan from Bantam, but nothing more. I only review a fraction of the advance copies I read, so you can trust that I strongly reacted to a book if I took the time to write about it). We are Amazon affiliates, so if you purchase through our Amazon links, we'll get a small percentage of purchases made that we put back into the blog or our board game podcast (greatbigtable.com). Most recently we replaced a six year-old desktop computer with a new tower when the motherboard failed. Thanks!